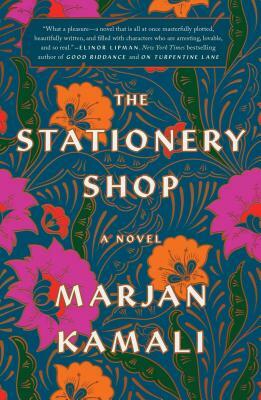 "Set against the political turmoil of 1950's Tehran, Marjan Kamali's THE STATIONERY SHOP illuminates how love is experienced over time and influenced by the fingerprints of others. Yet. despite every obstacle, the power of heart and memory endure. A beautiful and sensitive novel that I loved from the first page." "A beautifully immersive tale, THE STATIONERY SHOP brings to life a lost and complex world and the captivating characters who once called it home." "A sweeping romantic tale of thwarted love." "The unfurling stories in Kamali’s sophomore novel (after Together Tea) will stun readers as the aromas of Persian cooking wafting throughout convince us that love can last a lifetime. For those who enjoy getting caught up in romance while discovering unfamiliar history of another country."